General Studies Integrated Course is very popular among students. This course contains a complete package for General Studies in Civil Services examination i.e. it covers a total of 1525 marks out of 2025 marks (GS=1000 + Essay=250 + Interview=275 marks). The optional subject is excluded from this course which contains 500 marks. 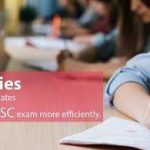 The rational behind this GS Integrated course is that students prefer to complete the general studies syllabus first and then they give finishing touch to their UPSC preparation by going through an optional subject. There are four logics behind it: (a) Students have already studied the optional subject during their graduation, (b) With exposure to general studies, they are in better position to decide the love/inclination for an optional subject, (c) Four to five hours of regular classroom coaching doesn’t allow time for another class at all. They have lots of homework as well as revision to do, along with preparation for the Sunday class test. (d) finally, General Studies plays a major role in selection, after all, it contains 1525 marks (i.e.75%); how can one ignore it and feel confident of performing better in IAS exam. This is the most comprehensive and general studies focused course. It is very helpful in planned preparation for civil services exam. It is a rigorous training programme – beginning from a lower level of preparation and finally ending at top-notch finishing touch. We start with class lectures to clarify various subject/topic related concept – to develop an understanding of the subject matter(s). Next, the discussion in the class helps dispel all sort of confusion. Class test is conducted every Sunday. This provides the student, opportunity to develop writing skill. Remember, writing in UPSC exam is more ‘an art’ than ‘simple intelligence’. During class, test teacher gets the first-hand information about students’ strength and more importantly their ‘weakness’. Teacher’s feedback and analysis help the student overcome those shortcomings. Class Test is a regular and most important feature of our training. After completion of the ‘regular course’ – we expose our students to ‘Advance level’. This is via our ‘All India Test Series’. Here, it should be noted that ‘class test’ enables students to write answers properly, paying attention to keywords like Explain, Discuss, Critically analysis etc. Structuring your answer format as per the demand of the question. At this point in time, the teacher will polish your answer-writing skill to achieve the highest attainable level. Firstly, the teacher who has taught you the course will be conducting and monitoring your ‘All India Test Series’. Here you can directly talk to him about your progress or how to improve your weaker areas. Both of you will feel the responsibility towards each other due to easy communications. Secondly, you will have a team of teachers to support you in the area of specialization. General Studies Integrated Course is a scientifically designed course for Civil Services aspirants. It takes care of every aspect of general studies, necessary for IAS preparation. Starting from scratch and completing the course at the highest level. The package contains – Classroom course for General Studies Prelims + CSAT + Mains + Essay + IAS Interview. ‘All India Test Series’ for General Studies Prelims + Mains + Essay (after completion of classroom course). Course Duration: One (1) year.